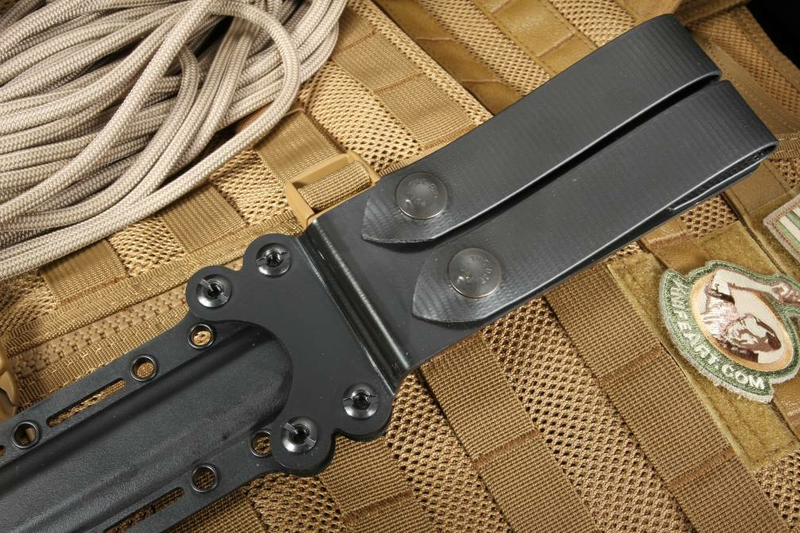 RMJ Tactical has been a trusted supplier of tactical knives, tomahawks, and other equipment for over 20 years. 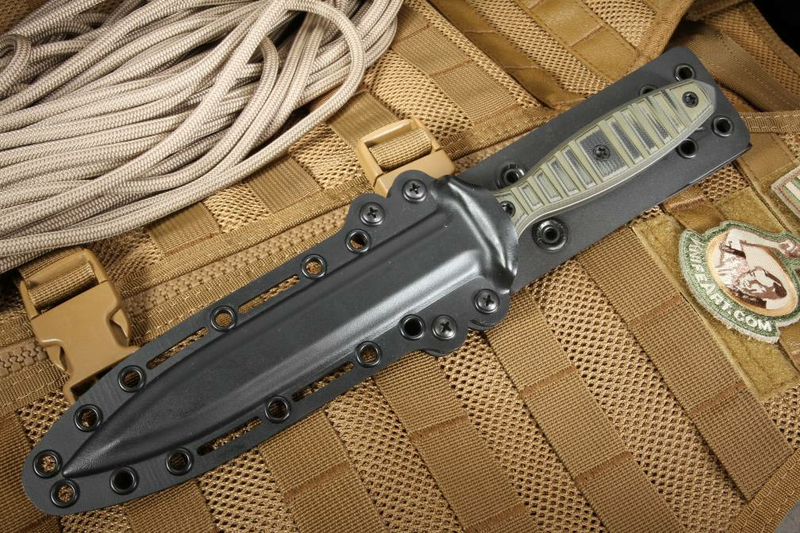 They have carried a well-earned reputation for knowing their stuff when it comes to providing quality blades for special forces operators around the world. 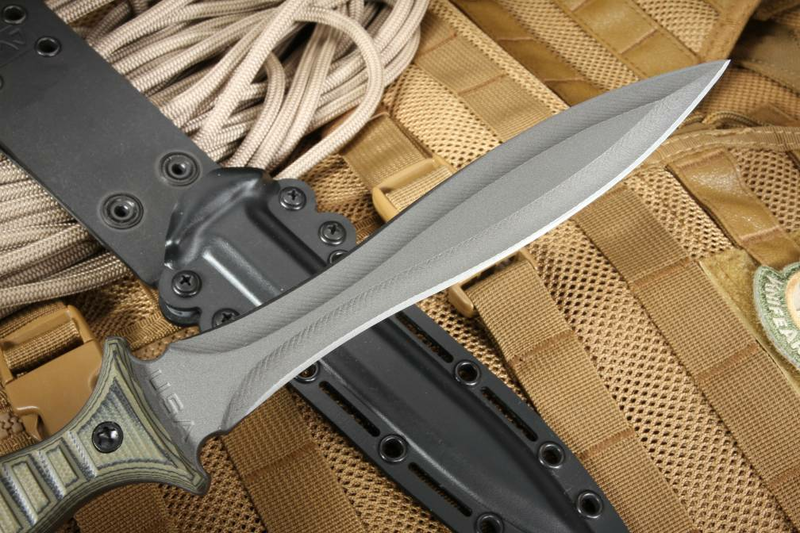 The RMJ Jungle Dagger the newest in fixed blade combat knife technology. Designed and crafted by Ryan M. Johnson--the creator of other RMJ items such as the Woods Chogan T-Hawks and KUK kukri knife--the Jungle Dagger is a new play on a centuries-old design that is sure to turn heads. Crafted from 80CrV2 tool steel, the Jungle Dagger is 11.5" in overall length with full tang construction. The blade is 6.75" with a spear point design, razor sharp on both sides. The almost leaf-bladed design, reminiscent of a Roman gladius, allows for deep penetration and quick extraction with very little non-edged surface area to create resistance. 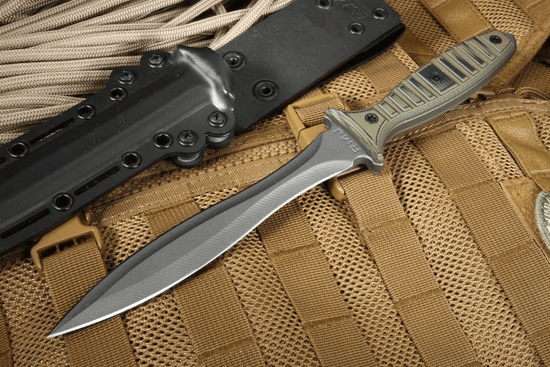 This knife is not only cryo heat treated for additional hardness, but due to the properties of its 80CrV2 steel, it is exceptionally tough too and able to withstand a lot of punishment while still maintaining an edge. The tungsten cerakote finish provides additional protection against corrosion as well as another level of hardness on the blade. 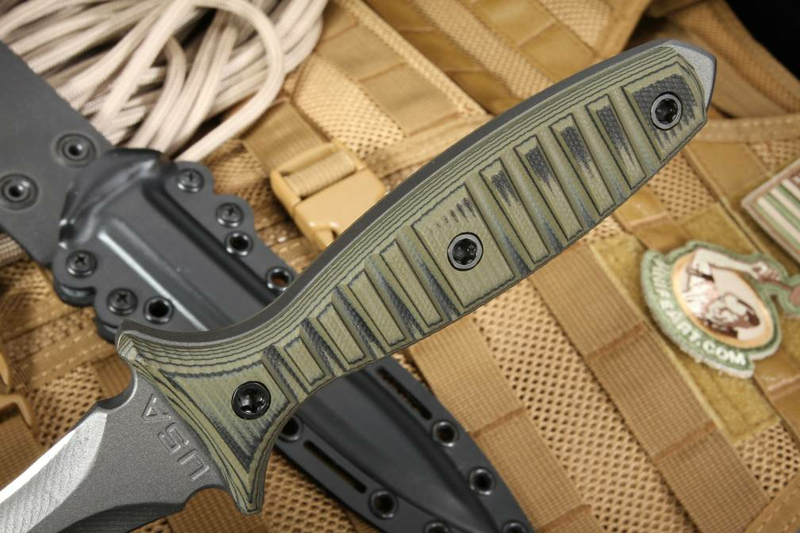 The patterned dirty olive G-10 scales provide a sure grip as well as cutting down on weight for easier carry without sacrificing tactical motility. Torx plus screws allow you to remove the scales for cleaning, customization, and adjustment as needed and a wrench, as well as Loctite, is provided. 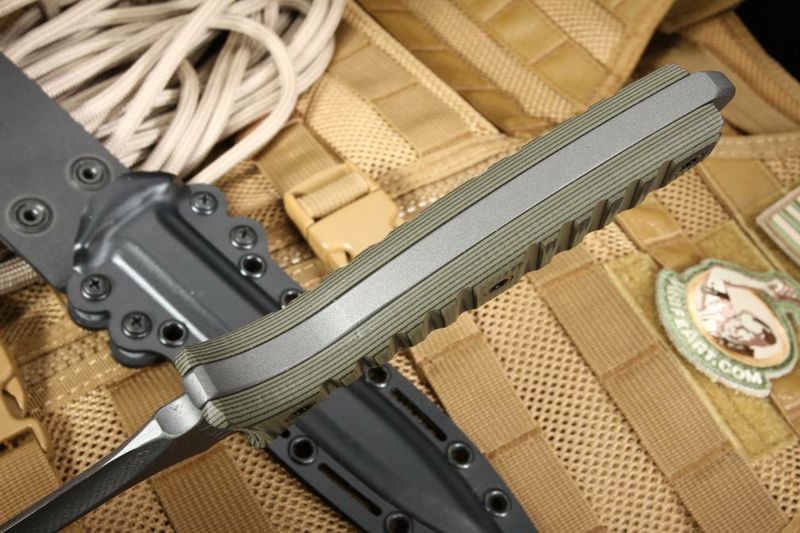 The multi-position Kydex scabbard with Bio-thane straps will keep your blade secure and ready for action. It is also Belt/MOLLE gear compatible, making it perfect for tactical use. RMJ Tactical proudly makes their knives in the USA and each comes with a lifetime guarantee against workmanship and materials, not just for the life of the blade, but for the life of the owner! 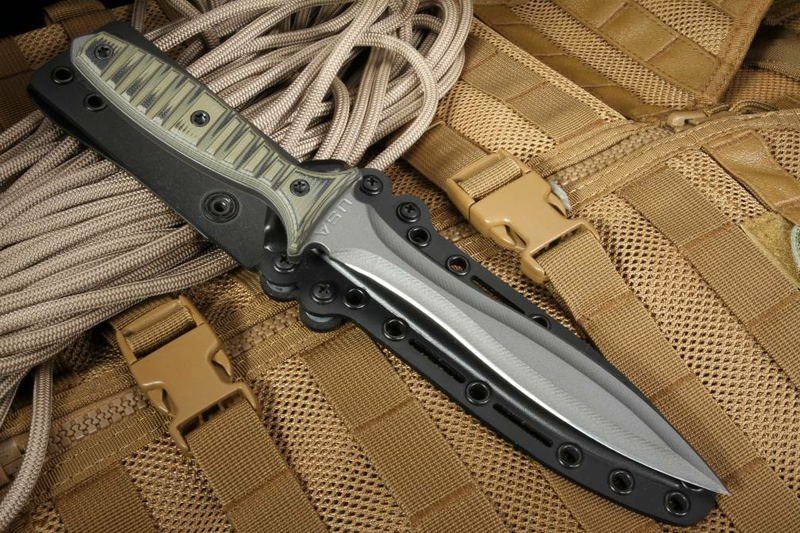 As an authorized dealer of RMJ Tactical, Knifeart.com offers fast, free shipping and a satisfaction guarantee. If you don't like your purchase for any reason, simply return it and you will not be charged a restocking fee. Our knives are curated, so every last one we ship out has been given the utmost care and consideration, just as if you were at the shop picking it out yourself. SHEATH: Multi-position Kydex scabbard with Bio-thane straps. Belt/MOLLE compatible.